Yum! You probably enjoyed them even more after taking the time to draw them. Delicious! The red of the plate really sets off the cookies. 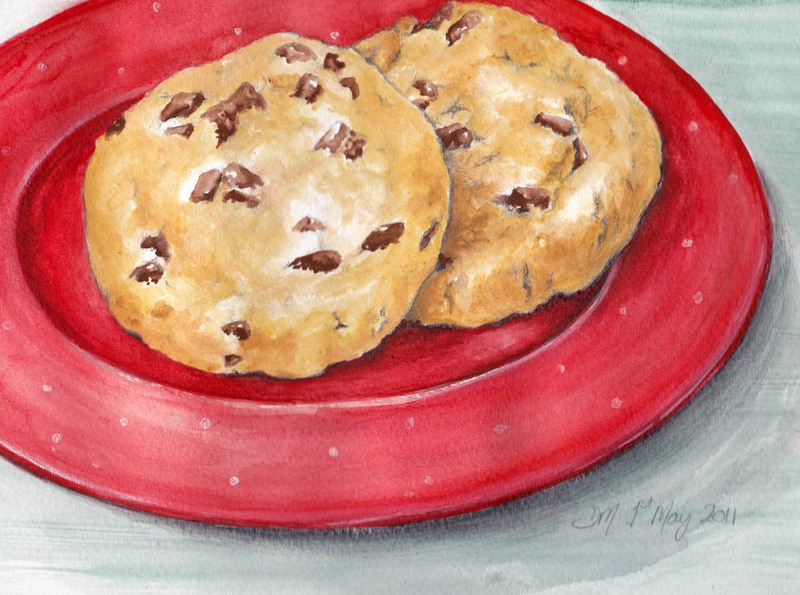 Love your ability to establish convincing texture to everything - I want to eat these cookies. Wow it is a year ago we "meet" via EDiM. I'm not participating this year, but look forward to more beautiful drawings like this one. I can almost smell these wonderful treats. Great work. I tried to take one but the computer screen got in my way! These are terrific. Hmmmmmm... looks so yummy! Beautifully drawn Debra! Looks like one of those cookies Pepperidge Farms makes ^^ Love em!